Workbar is about building a community and network of entrepreneurs that want to help each other grow! Devin shares their mission at Workbar and where they see themselves growing in the near future! – Devin shares their mission to create opportunities and relationships for their members of this coworking space. 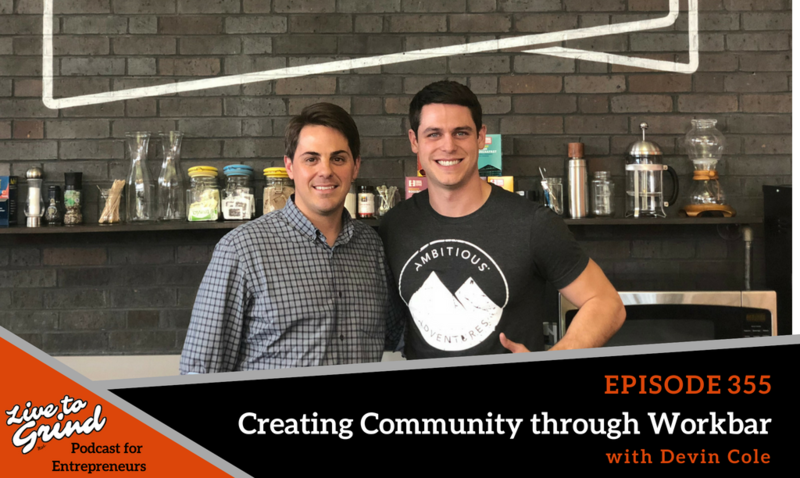 – What are the common needs Devin sees in all of the different entrepreneurs he sees in the coworking space? – What is next for Workbar and where do they plan to grow? – Devin shares what he loves about living and working in Boston. – What is Devin’s definition of success? Devin Cole is the head of community at Workbar. Workbar is a coworking space for teams, entrepreneurs & mobile professionals. Workspace, meeting space and a rich, connected community! Catch up with Brandon on Instagram. Connect with Devin and Workbar!